The recordings filed in three labor and delivery rooms at the Women's Center at Sharp Grossmont Hospital in La Mesa, California, over a period of more than 11 months beginning in summer 2012. "The most fundamental breach of privacy," said Allison Goddard, a lawyer representing more than 80 women who say they were filmed. Goddard says she has obtained five videos from the hospital and has requested about 100 more. "I have seen, for example, a video of a C-section, and it shows the patient being rolled into the operating room. It shows the patient being prepped for surgery. You could see her hospital gown tucked up during her You could see here just belly, "Goddard said.
" It's horrifying to think that, especially in today's day and age of the ubiquity of videos on the internet, if one of those videos were to get into the wrong hands, there's no controlling it. It takes your own medical care outside your own control, "Goddard said. The lawsuit states the recordings were stored on desktop computers, without the need for a password. It still states the hospital "destroyed at least half the recordings but cannot say when or how deleted those files and cannot confirm that it took the appropriate steps to ensure the files were not recoverable." The women are suing over the files. They say they suffered, including anguish, horror, humiliation, depression and feelings of powerlessness. They are seeking monetary damages from the hospital. Goddard said the women were informed about what happened to them by a third-party administrator after a nine-month court fight. Carlisle Lewis, Sharp Healthcare's senior vice president and general counsel, acknowledged in the document that "some of the video clips depict patients in their most vulnerable state, under anesthesia, exposed and undergoing medical procedures." According to the document, on multiple occasions, the cameras captured a doctor re moving drugs from the carts, including the powerful anesthetic propofol, and placing the items into a shirt pocket. "Although the cameras were intended to record only individuals in the anesthesia carts removing drugs, others, including patients and medical personnel. in the operating rooms, at times visible to the cameras and recorded, "John Cihomsky, Sharp Healthcare's vice president of public relations and communications, said in a statement. "The hospital is a privacy zone"
"These are extreme, horrific violations. And it's exactly why the hospital is a privacy zone, "said Art Caplan, head of the Division of Medical Ethics at the New York University School of Medicine. "There is a very long list of reasons why taping, recording, videoing for anything other than medical or treatment purposes has to be strictly off-limits, because you're trying to protect people who can't protect themselves." Caplan says drug is a huge problem for hospitals and is often investigated, but the investigations are usually coordinated with law enforcement. 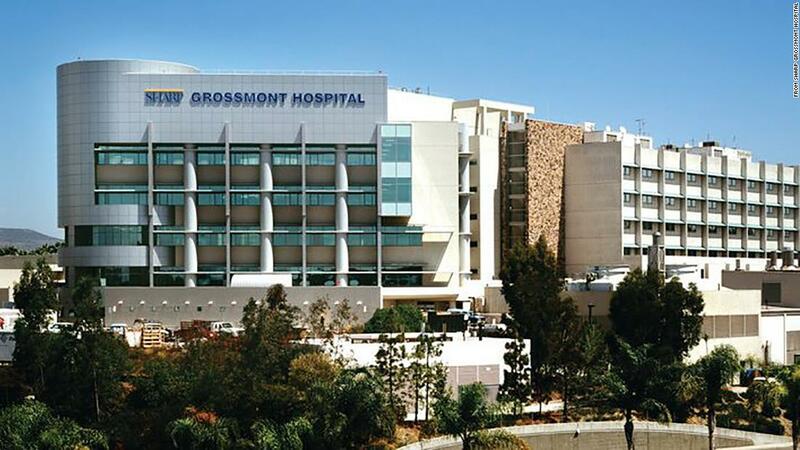 Sharp Grossmont Hospital has been working with law enforcement in this case. "It may be a noble thing to try and figure out how drugs are being diverted, but with the appropriate legal authorities," Caplan said. "It can be just an internal quality control activity. If you want to get people to trust health care, this is a great way to do it." Cihomsky said the surveillance methods were used for only that particular investigation and have not been used again. He said that the case remains ongoing and that the hospital was unable to comment further on the matter.